Normal foot anatomy. 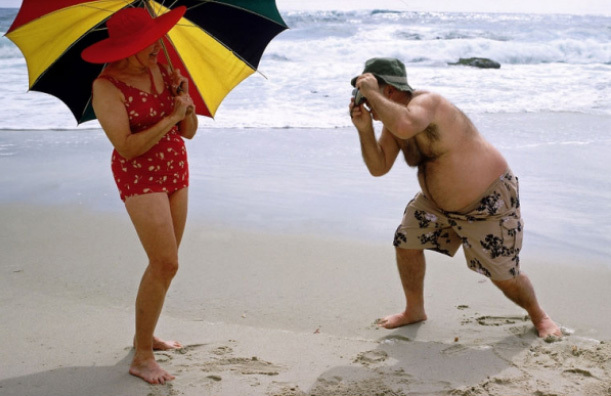 Images of foot. 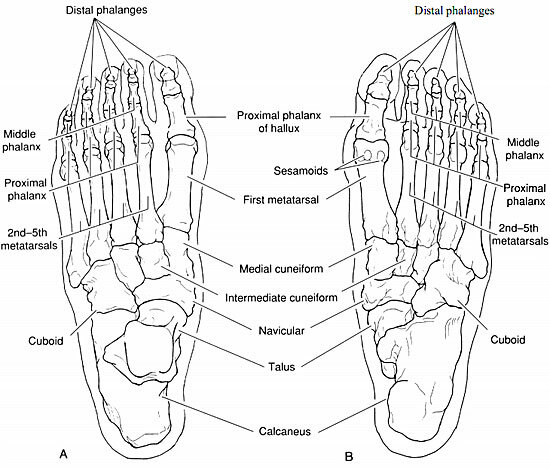 Skeletal structure of the foot. 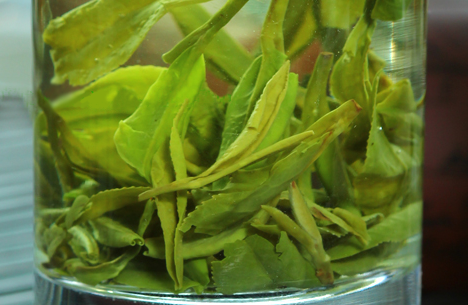 (A) Dorsal view. (B) Plantar view. Bone of the feet. Images of foot. 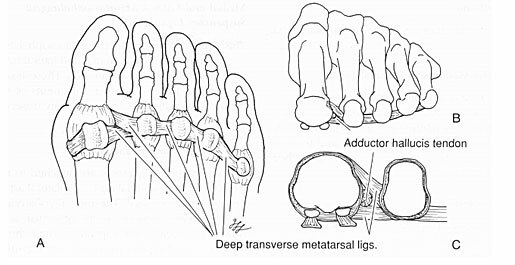 (A-C) Anterior view of the first intermetatarsal space to illustrate the bifurcated nature of the first slip of the deep transverse metatarsal ligament. 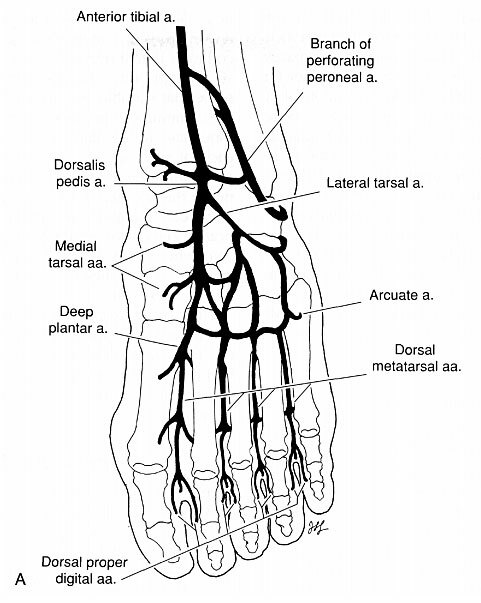 General pattern of the arterial supply to the foot. 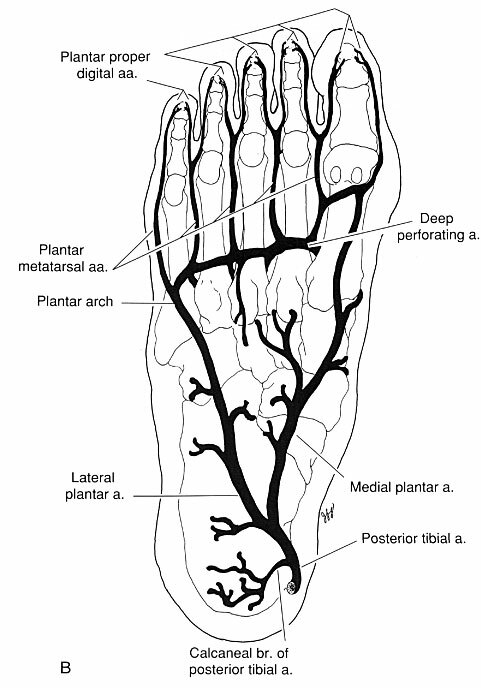 General pattern of the arterial supply to the foot. (A) Dorsal foot. 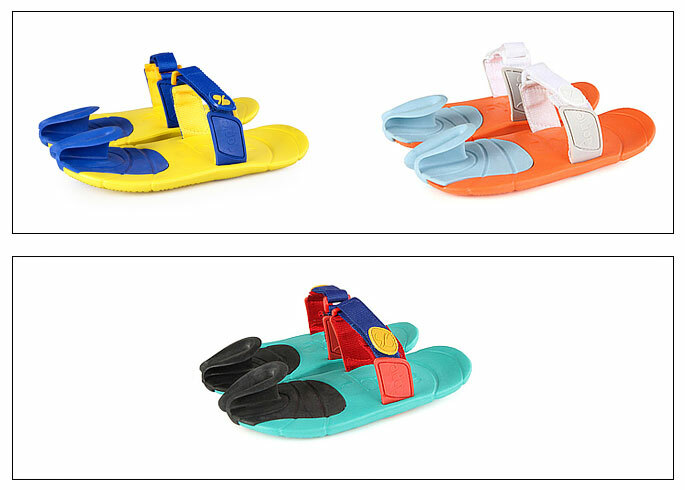 Images of foot. 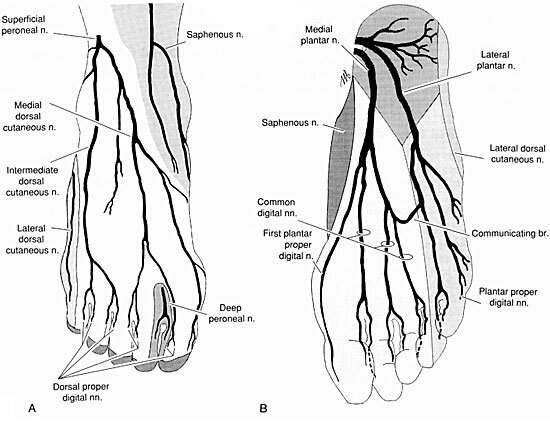 General pattern of the arterial supply to the foot. (B) Plantar foot.